Edelman, the storied multinational communications marketing firm, hosted Oglethorpe students interested in pursuing public relations and communications careers. Oglethorpe students spoke with a panel of Edelman professionals from different departments in the marketing communications firm. The April 3 event was sponsored by Oglethorpe’s PRSSA chapter (Public Relations Student Society of America), advised by Dr. Kate Keib and supported by University Communications and the A_LAB (Atlanta Laboratory for Learning). The students who attended were Alexander Oakley, Manuel Portillo, Lindsay Thomaston, Valencia Barnes, and Gavonta’ Zanders. In addition to traditional public relations, Edelman’s work now encompasses communications marketing, a data-and-insight-driven approach to integrated campaigns, advisory services, and digital strategies and solutions. 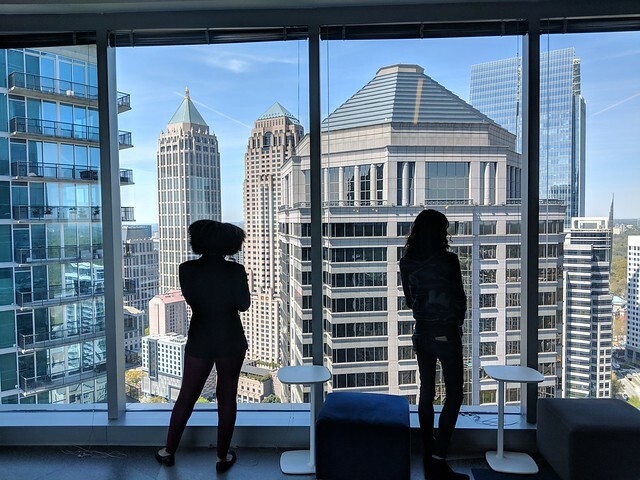 The Midtown Atlanta office of Edelman works with clients such as Arby’s and Gerber through its Edible division, as well as other healthcare and consumer brands like nearby Newell. PRSSA is open to any Oglethorpe student. This student professional organization encourages the understanding of the current theories, principles and procedures in the practice of public relations; provides students with the opportunity to become familiar with their peers who are interested in communication professions and with professional practitioners; and encourages students to embody a professional attitude while adhering to the utmost ideals and practice of public relations. Contact Kate Keib at kkeib@oglethorpe.edu to learn more.